“It’s one thing to read about migrants and refugees. 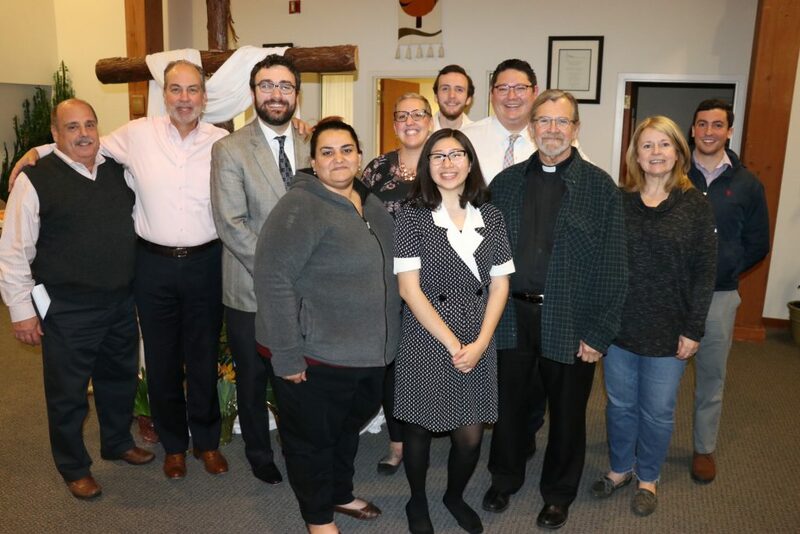 But having a chance to meet immigrants, seeing their faces and hearing their voices… it’s different than seeing it in a headline,” reflected one parishioner as he sipped his coffee at the Catholic Community of the Holy Spirit in Mullica Hill. 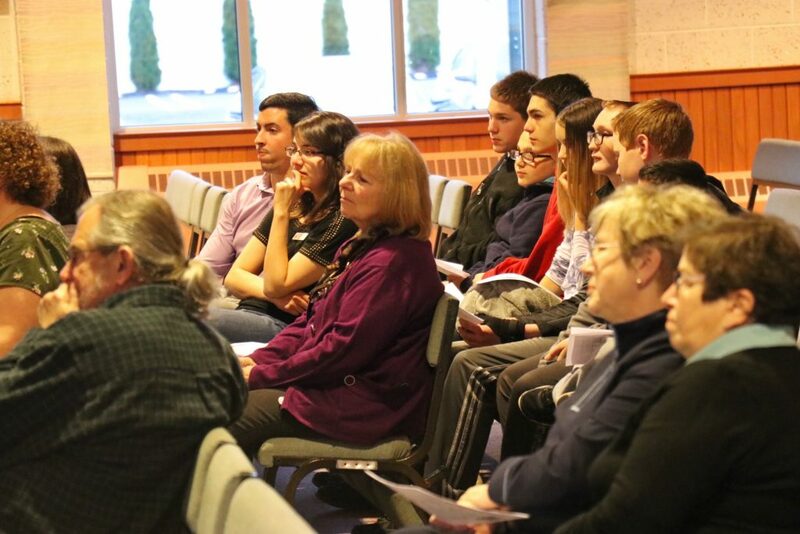 He was one of several members of the Parish’s social justice committee that gathered to host a panel discussion, “Called to Welcome.” The group, accompanied by Father Tony DiBardino, met for dinner before the start of the panel discussion which was open to parishioners and the public to listen and interact with a special group of guests. Attendees, young and old, made their way into the church. 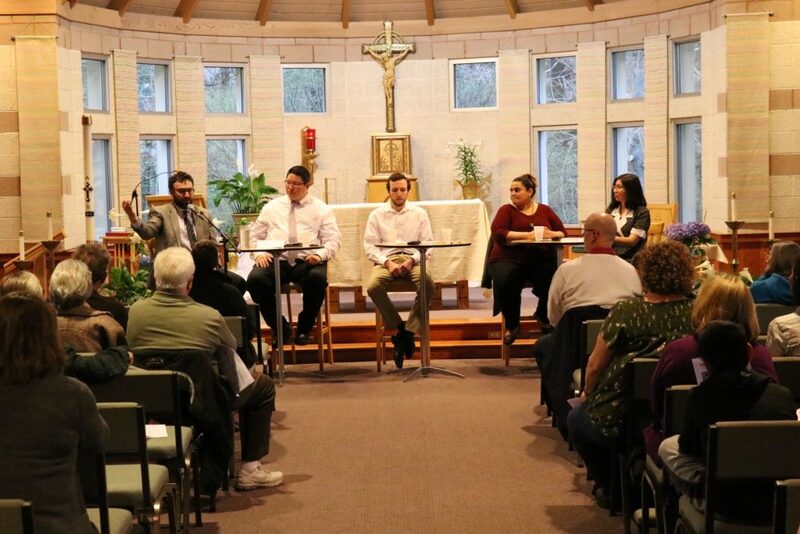 Michael Jordan Laskey, Director of the Diocese’s Life and Justice ministry and organizer of the event, served as the moderator of the panel. He began the discussion by explaining the Church’s call to welcome the stranger into our communities, to treat our migrant brothers and sisters with compassion. Patrick Barry, Catholic Charities’ Director of Refugee Resettlement, was the first to speak. He shared the story of how his mother and grandmother came to the United States in the 1980s as refugees after fleeing the horrors of the Khmer Rouge genocide in Cambodia. His grandmother, he told the audience, arrived to the Philadelphia airport during a snowstorm, wearing just the clothes on her back and flip flops. Barry explained the process of refugee resettlement and the procedures that Catholic Charities follows to help these families become become accustomed to life in the United States, assimilate to the culture, and eventually – become accustomed to the community and live self-sufficiently. Curious whispers filled the room, and hands raised for questions. “What’s the number one reason people have to leave?” asked one young attendee. “They don’t leave their countries because they want to, they do so because they have to because their lives are in danger – whether it be from war, famine, natural disasters, violence,” he explained. 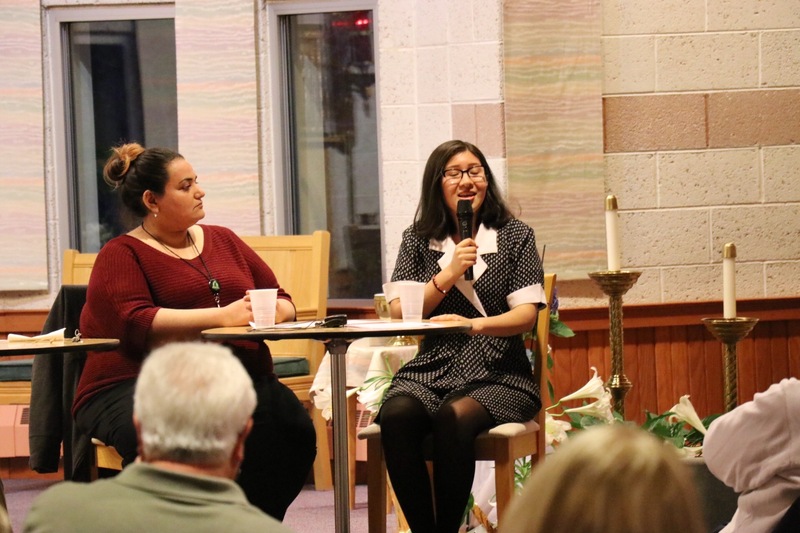 Offering first-hand testimony to the need for certain individuals to leave their native countries was another member of Catholic Charities staff who was present to share her story, Sara Aljanabji, a refugee who, at age 25, fled from Iraq. Having worked with the United States embassy while in Iraq, her life and her family’s lives were in constant danger because of her work affiliation with the US. 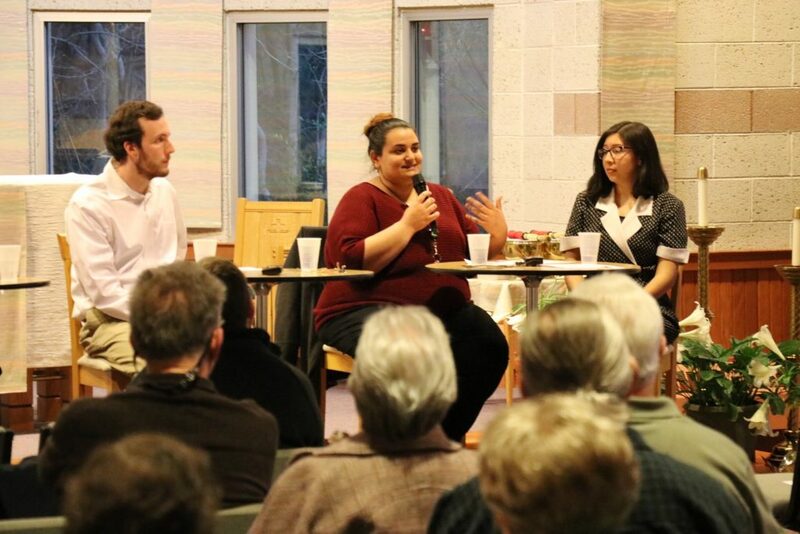 After sharing her story – life in Iraq during war, the extensive process of applying to becoming a refugee, the vetting process, and her journey to where she is now – a hand was raised for a question. The sense of gratitude for safety was shared by the last panelist, Monica Perez-Reyes, a DACA Dreamer and Camden resident. “My parents and I came to the United States from Mexico when I was one and a half years old. I don’t remember the journey here, but my mother told me that I could barely walk,” she said. Monica is one of the 1.8 million DREAMers in the country, undocumented immigrants brought to the United States as infants or children. Monica, who has never been to Mexico before, seized the opportunities that the United States has to offer. She has been working tirelessly, helping provide for her younger siblings, and currently studies art therapy at Camden county college. The talk of possible deportation under the current administration, she said, only inspires her more to work harder. Panelists and attendees enjoyed refreshments together after the panel, offering a chance for further engagement. More questions were asked, but this time, they all revolved around one: what can we do to help?